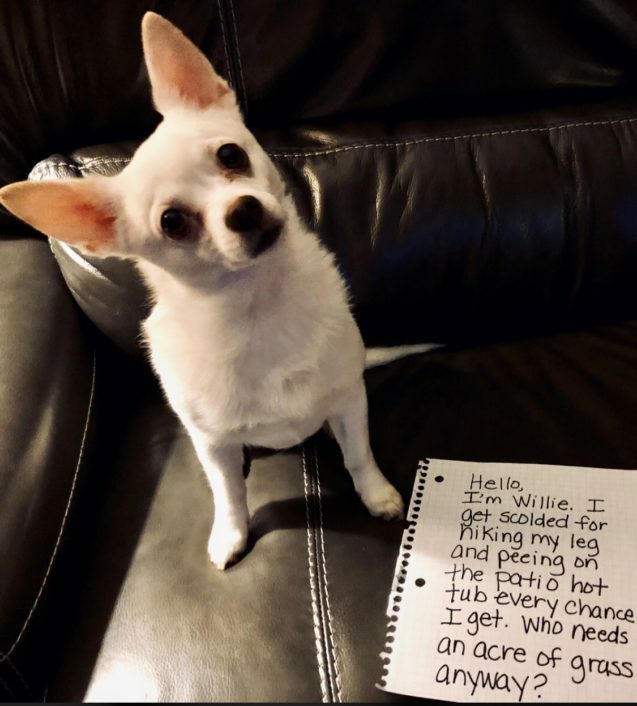 Posted June 14th, 2018 by dogkeeper & filed under Piddle Party, Submitted. 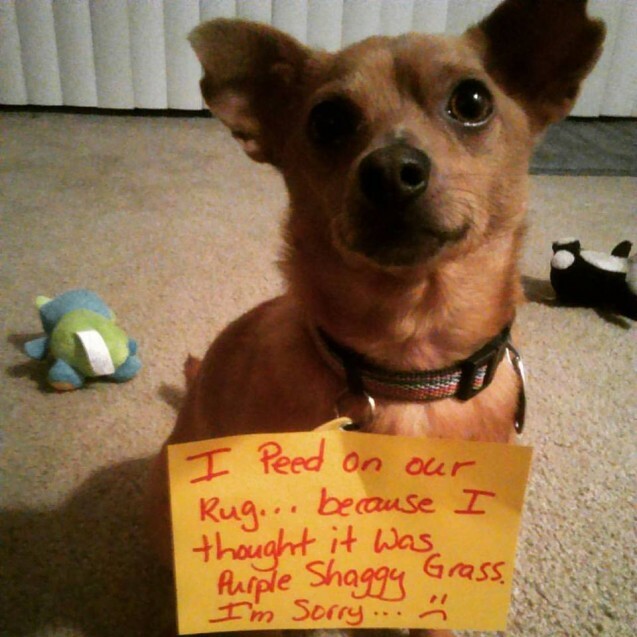 I peed on our rug, because I thought it was Purple Shaggy Grass… I’m Sorry! 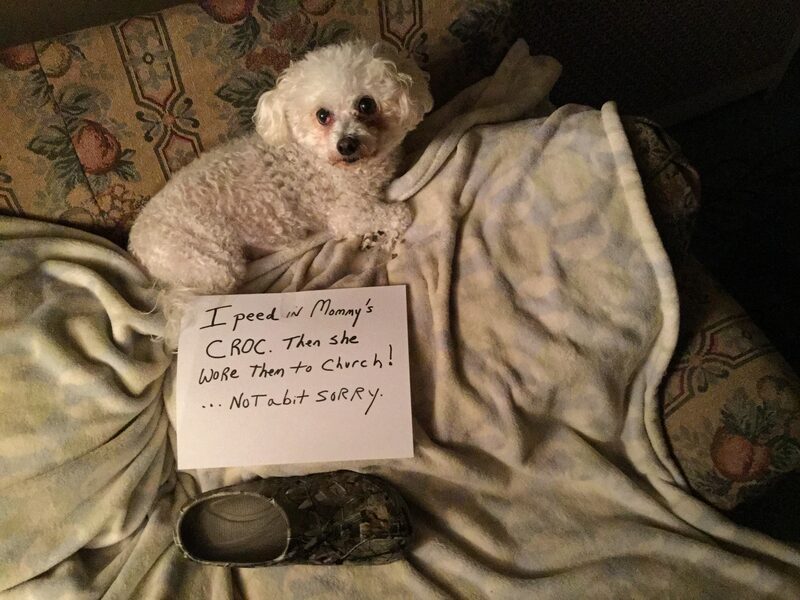 Posted March 25th, 2018 by dogkeeper & filed under Piddle Party, Submitted. 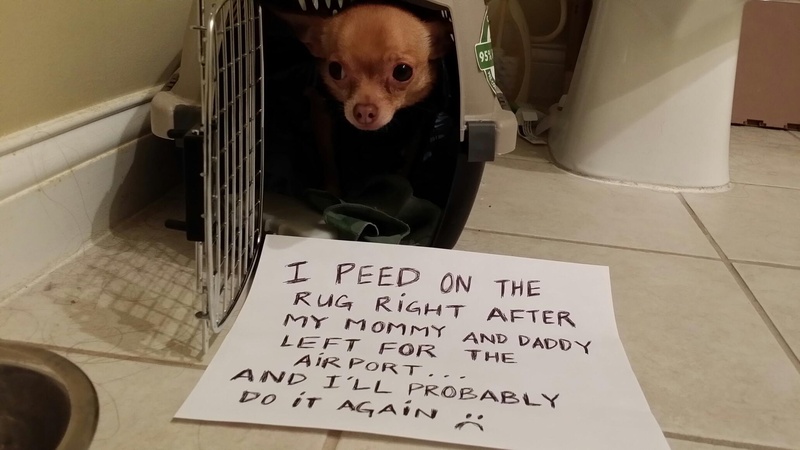 Posted February 26th, 2018 by dogkeeper & filed under Piddle Party, Submitted, Surprise Poops. 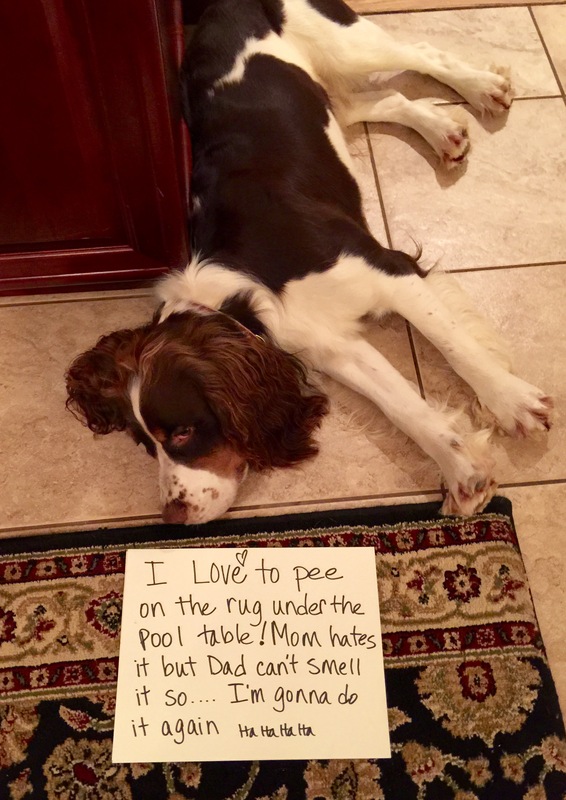 Brody is a 1 year old springer that thinks he can’t be seen under the pool table when he pees or poops. 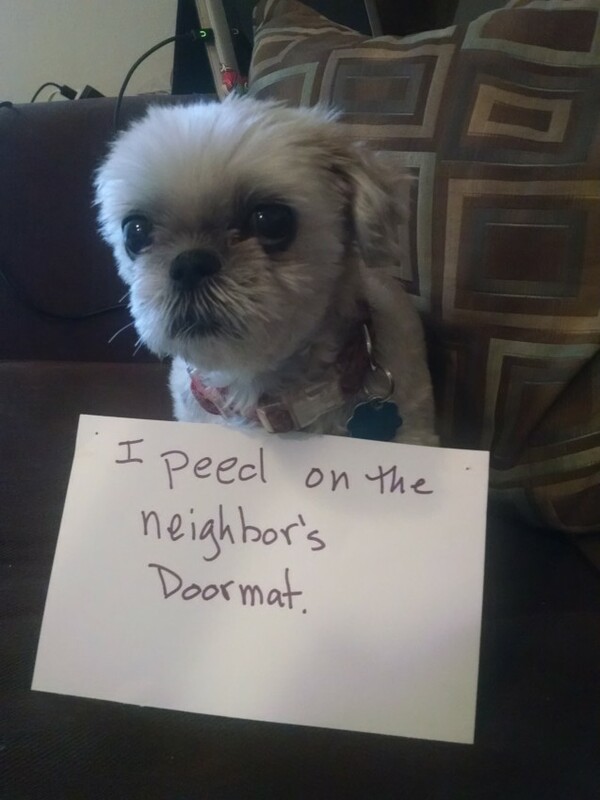 Posted February 23rd, 2018 by dogkeeper & filed under Best Friend Betrayal, Piddle Party, Submitted. 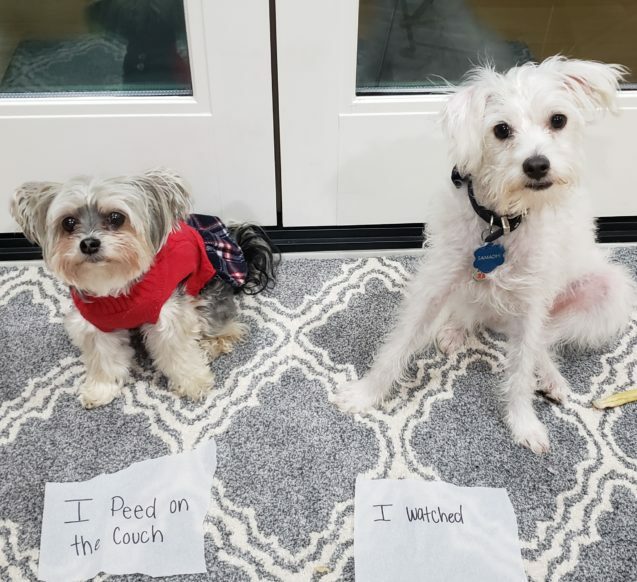 Watson the lab along with his BFF Sherlock the cat have been culprits of mass naughty behaviour and have had more than their fair share of dog/cat shaming. 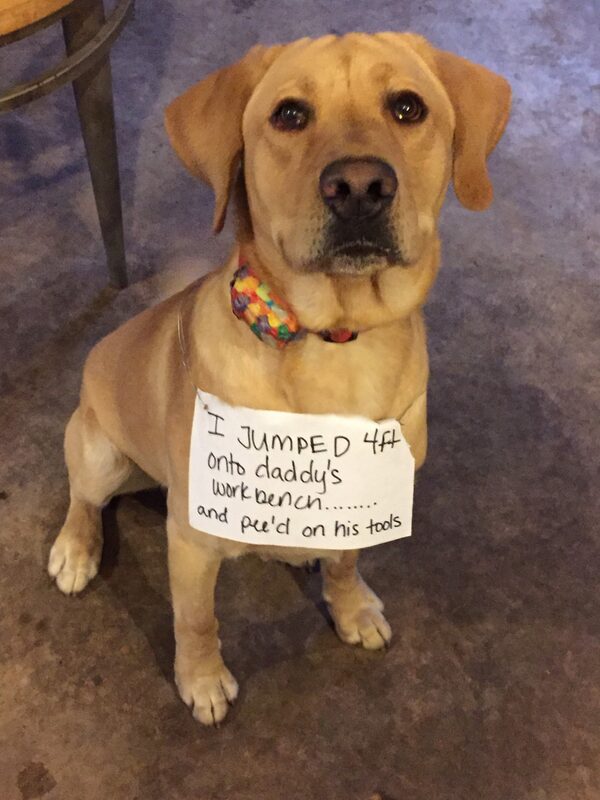 But this time Watson went above and beyond naughty and peed on his daddy’s tools! #BADDOG! Posted February 4th, 2018 by dogkeeper & filed under Piddle Party, Submitted. Posted January 17th, 2018 by dogkeeper & filed under Best Friend Betrayal, Piddle Party, Submitted. Lulu refused to go for a walk in the wet weather. 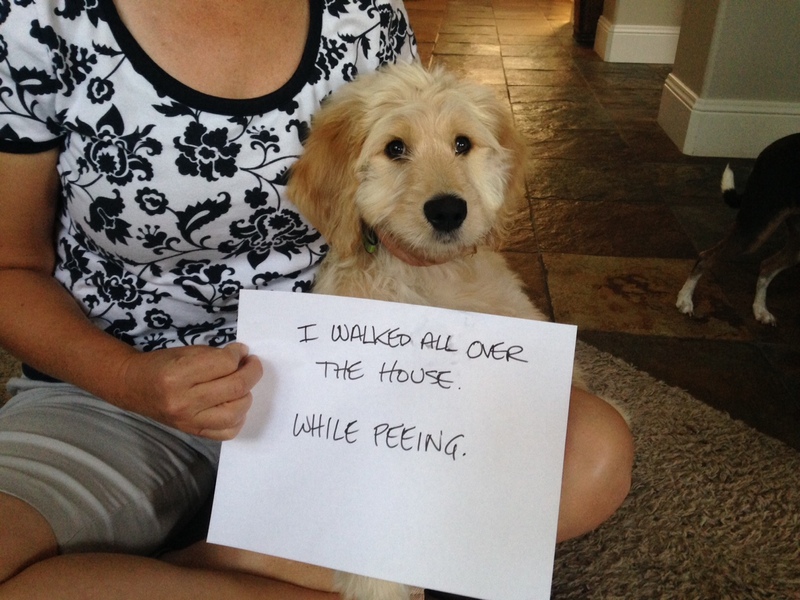 As a way of relieving herself, she peed on our downstairs neighbour’s doormat. 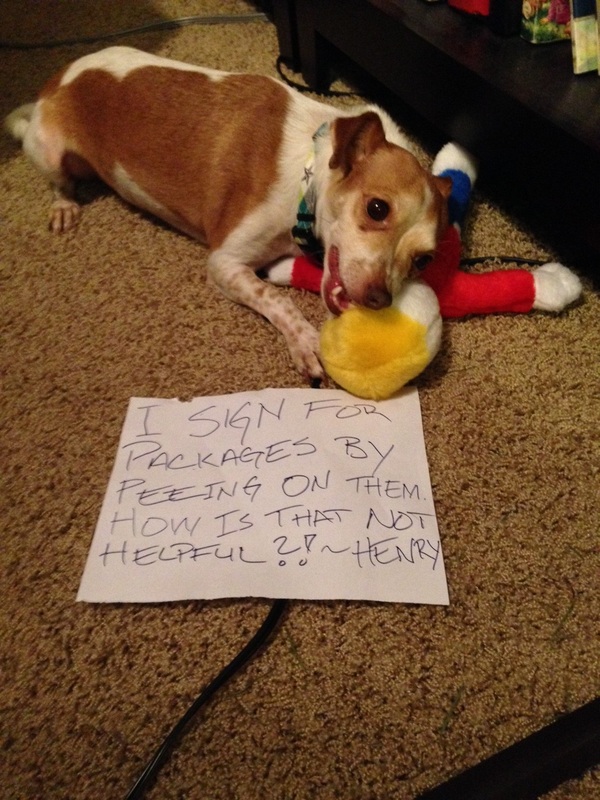 Posted October 30th, 2017 by dogkeeper & filed under mailman meanies, Piddle Party, Submitted. Chihuaha-ha-ha! Oops, I peed a little. 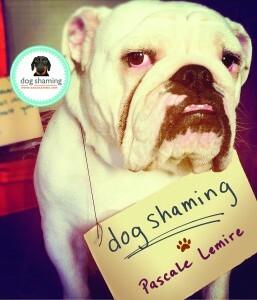 Posted October 13th, 2017 by dogkeeper & filed under Piddle Party, Submitted.